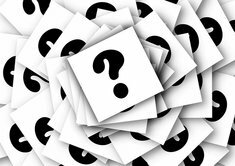 Could you please provide more details on what you are looking for? The Honda Ridgeline is a good pickup truck, but it's more of an SUV is a bed. It rides and drives the best compared to every other pickup, but it doesn't tow much if that's what your plan is. I don't plan to tow. Mostly this vehicle will be my "do everything" vehicle. We hope to travel with our two recumbent trikes, camping gear, and suitcasession. The new Toyota and Nissan seem to have lost their reliability. Honda may be a more comfortable "truck" than my Toyota, Ranger, Nissan trucks. 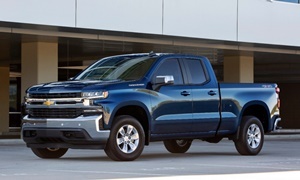 The 2017 Colorado or Canyon are under $20,000 on cars.com. They have a won comparisons with their new designs. You won't find a 2017 Toyota Tacoma for that price. 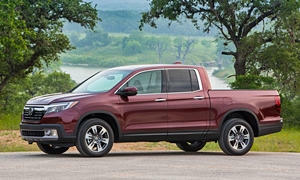 The Honda Ridgeline is basically a Honda Pilot with a bed and that's a good thing if you aren't going to tow because it has the great qualities of a truck (the bed and utility) and none of the bad ones (rough ride and utilitarian,cheaper interior). You won't be able to get a new one for under $20k. This car has extremely high resale value, likely because they didn't sell a ton of them and it was discontinued for a couple years. In your budget you can get a bottom of the line 2012 RT or a top of the line 2009-2011. They have proved to be very reliable and owner satisfaction has been good. It drives more like a big Accord than a big truck. The interior of used ones are sort of outdated and there is road noise. 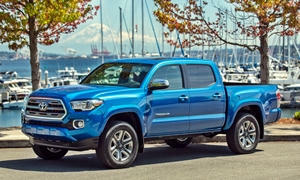 The new Tacoma has been unreliable because of the radio/infotainment system, not engine or mechanical problems. The used Tacomas have had almost no problems. Owner satisfaction is OK, but not great. It's much less comfortable than the Ridgeline because it's an actual truck. The Tacoma also has high resale value. Look for a 2012 model year when they did the small refresh. It comes in a stripper model, so you don't want bottom of the line. You could get a pretty well equipped 2012. Get the V6 because the 4 cylinder is too slow. 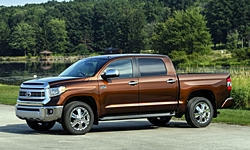 Depending on what body style you get, the Tacoma bed will probably be larger than the smaller Ridgeline. It doesn't look like you can put a truck cap on the Ridgeline, but you definitely can with the Tacoma. So both are reliable, but the Ridgeline is way more comfortable (good for long trips, camping) and the Tacoma is more practical and more customizable. It also has a nicer interior than the used Ridgeline, although it's nothing that important. I'm not sure if you can fit your recombant trikes in the bed of the Ridgeline, but you definitely can in the Tacoma. Tell us what you buy! Good luck! I wouldn't recommend the Ridgeline to anyone that wants to adventure off the the paved roads. In this video the transmission over heated, it is so under engineered. That might explain why the tow rating is so low. The new one is not as good at off roading as the old model. I was talking about the 2009-2014 model. It doesn't seem like the OP will be off-roading; just taking it camping and hauling stuff in the bed. OP, if you plan to off-road go with the Tacoma. Keep in mind the Tacoma is not a comfy car at all. If you don't plan to off-road, go with the Ridgeline because of it's unibody platform that makes it ride like a heavy sedan. Ridgeline is better for long trips, Tacoma is more off-roading capable. You can take the Ridgeline off the paved road, but I wouldn't recommend going up a steep rocky hill because it isn't a truck engine or platform. Everything in the Ridgeline comes from the Pilot SUV. For light use, loading light equipment and staying mostly on paved roads the Ridgeline or other mid-size trucks should be fine. 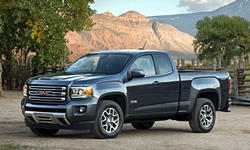 If you are planning on going to rougher country or doing some light towing a "full size" truck w/4 doors would be better. 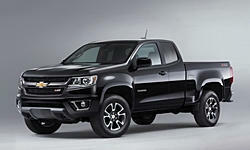 On the whole, full size pickups just have heavier suspension systems which help them last. I don't much about the Nissan HD so I won't comment on that. The F150 have issues with the ecoboost (going into default mode) which may be limited to hotter climates and their aluminum bodies cost more to repair (35% more per PowerNation). Per my mechanic the GM trucks are having problems with their aluminum block engines. 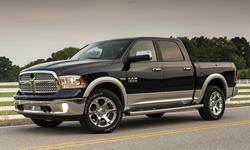 I have had extremely good look with my 2012 Ram 1500. 125,000 miles and no time in the shop except for maintenance. The Toyota Tundra's have a very good reputation for reliability as well. The parts for both the Ram and Tundra are pretty costly, but I suspect that is true of Ford and GMs as well. If you live where there is a lot of snow, I would suggest 4 wheel drive. It doesn't help you stop but it does help you to move.